Will Cascadden is a partner in Gowling WLG's Calgary office, practising in our Labour, Employment and Equalities Group. Will represents employers in a range of sectors including: oil and gas, oilfield services, utilities, financial institutions, government and not-for-profit organizations. He has tackled the tough legal challenges that arise in today's workplace, including: terminations, labour relations, employee disability, hiring, union certification drives, human rights, collective bargaining, policy development, group dismissals, employment issues in mergers and acquisitions, and all manner of law suits and legal proceedings. Will has represented clients in arbitrations, and tribunals such as the Labour Relations Boards of Alberta, British Columbia and Canada. He has also appeared before the Superior Courts and Courts of Appeal of Alberta and British Columbia, as well as the Federal Court of Canada. Will teaches the Employment Law Course at the University of Calgary Law School. He also routinely instructs on labour and employment law topics for a number of organizations, including the Legal Education Society of Alberta, and the Continuing Legal Education Society of British Columbia. In addition to many legal articles and papers, he has authored several books, including "Procedural Strategies for Litigators in Alberta, 2nd Edition," "Employment Standards in British Columbia," and the "Labour Relations Code Practitioner's Manual." 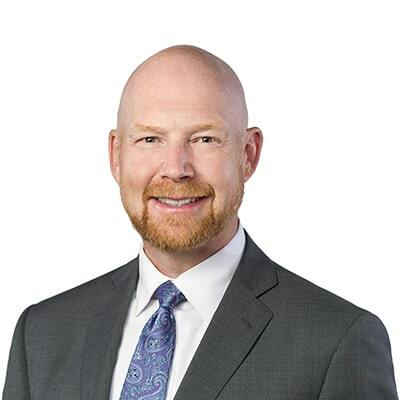 In recent years, he has been a director of the Human Resources Association of Calgary, a member of the Mount Royal University Human Resources Advisory Committee, and a member of the National Executive of the Canadian Bar Association Labour and Employment Law Section.